I have to admit that my kids have no earthly idea who The Flintstones are and why they should be checking them out. Yes I know that I just lost cool points. I totally admit that while I try hard to get them to watch shows of my era, sometimes I miss the mark of introductions. When the email hit my inbox about the new movie features not only the Flintstones but also WWE I was excited. 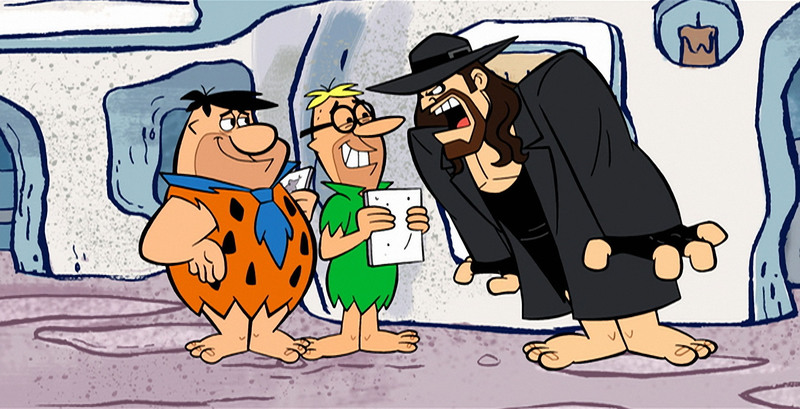 Thanks to the WWE and Warner Brothers we received a copy of The Flintstones and WWE: Stone Age Smackdown for review. When the movie arrived in the mail I was so excited, I just knew we were going to watch it that very day. The kids opened it and were more excited about the WWE name on the box. They had no idea really about the Flintstones. We didn’t get around to watching it for about two days. I put it one so I could write my review and within minutes all the kids were glued to the screen. I really loved that it wasn’t anything like the original Flintstones stuff that I was used to watching and the kids loved connecting their favorite wrestling stars to the ones in the movie. It’s a lot of laughs and family fun. I felt confident letting my three kids watch it because it was entertaining and fun. My son couldn’t wait to share the movie with his cousins who are also wrestling fans. All of them loved it and their ages range from 6 to 15. I was surprised how much my oldest nephew enjoyed it as well. It was a lovely conversation piece for our entire family. My siblings and I had fond memories of the show from our childhood and growing up in Trinidad. For the nostalgia purpose alone I would recommend you get this and connect as an entire family in a fun way. 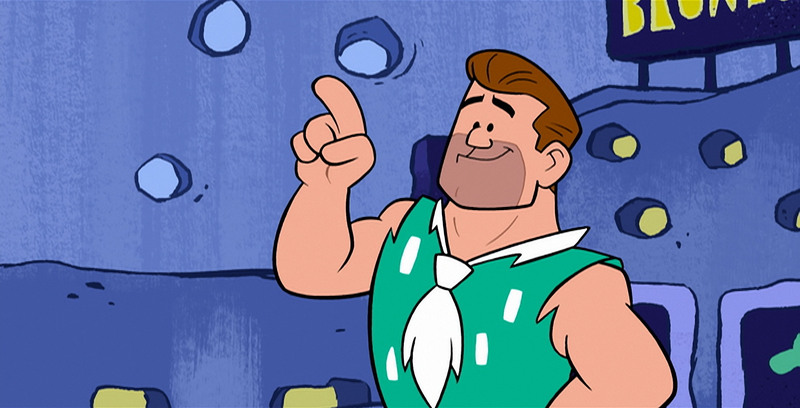 The Flintstones join forces with WWE and go back to the Stone Age in the all-new animated film, The Flintstones & WWE: Stone Age Smackdown, co-produced by WWE® Studios and Warner Bros. Home Entertainment. Timed to debut leading into WrestleMania 31, this all-new original movie is available on DVD, Blu-ray Combo, and Digital HD for the first time now. 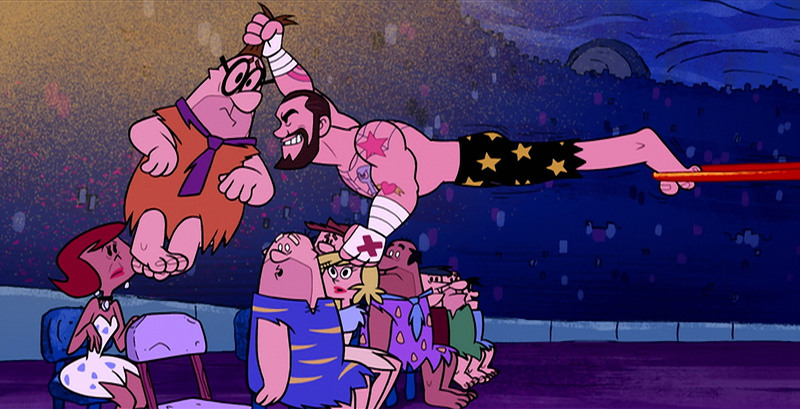 Rated the #2 greatest cartoon of all time by TV Guide, the Flintstones’ return to the center ring will be sure to deliver high-octane action for fans of all ages. 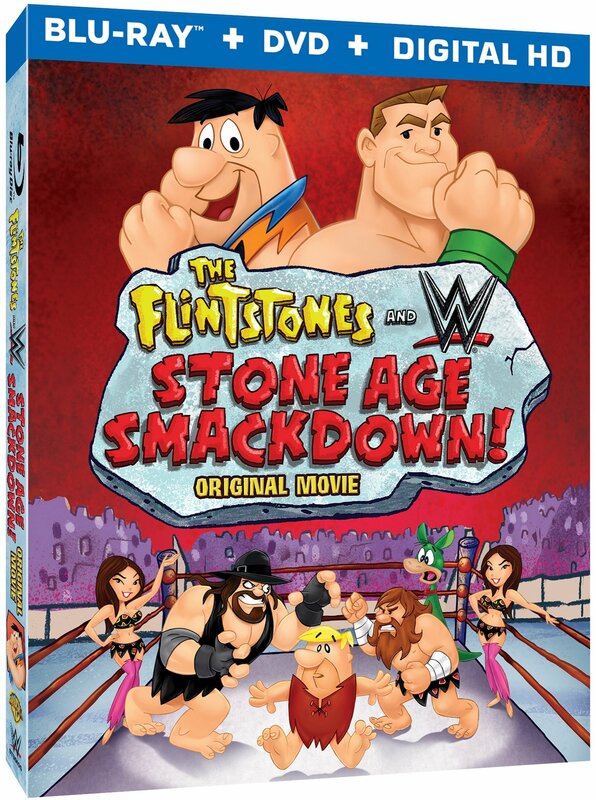 The Flintstones & WWE: Stone Age Smackdown will be available on Blu-ray Combo, DVD and Digital HD for $24.98 / $19.98 / $19.99 SRP.